BAE Systems is forecasting a significant near-term decline in its US defense and security businesses but has been able to point to sizable deals with Saudi Arabia to help underpin its international order book in 2013, according to results released here Thursday. The British-based contractor said Pentagon defense spending cuts would likely trigger a 15 percent reduction in its US business for 2013 and 2014. Release of the figures saw BAE’s share price plummet 11.1 percent at one point but had recovered slightly and by mid-afternoon stood down 8.8 percent. The US government is targeting defense spending reductions of $450 billion over a 10-year period, but BAE warned the defense industrial base is likely to be disproportionately affected because some areas of the budget, such as military personnel accounts, were being protected. The result of the spending reductions would see 2014 earnings slide between 5 percent and 10 percent compared with last year, BAE said. BAE reported full-year sales up 2 percent at £18.2 billion (US $22.1 billion) with underlying earnings before interest, taxation and amortization at £1.9 billion, a rise of 3.3 percent on 2012. The results come a week after Britain’s other big defense contractor, aero engine maker Rolls-Rover, warned that its defense order book had slumped 21 percent to £4.07 billion in 2013 and warned there would be stagnation in its revenues and earnings this year. 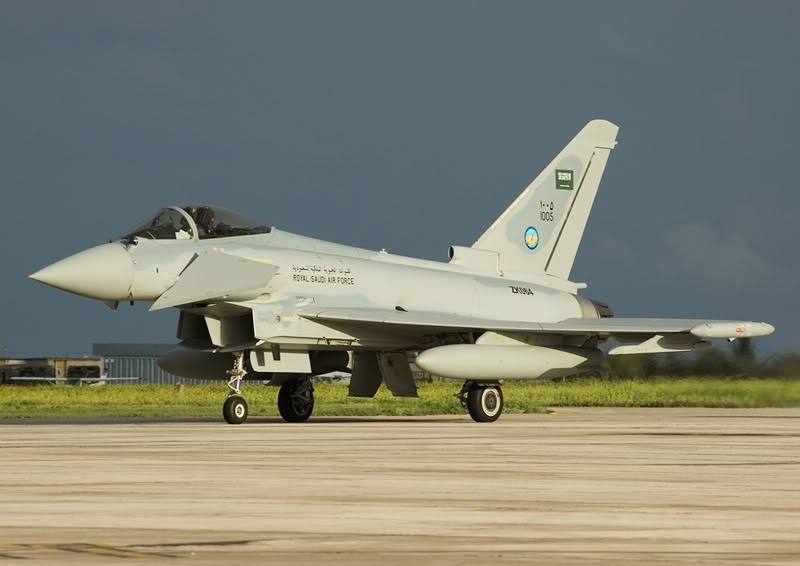 Unveiling the BAE results came 24 hours after the company announced it had finally reached agreement with the Saudi Arabian government over price increases relating to the sale of 72 Eurofighter Typhoon jets. Nearly half of those jets have already been delivered. “The results are broadly in line with what we expected, but the disappointment concerns the outlook for 2014 and, to some extent, beyond,” said Sash Tusa, the defense and aerospace analyst at investment research company Edison in London. “Specifically, it is now apparent that the Saudi price escalation agreement which BAE announced [Wednesday] saw the earnings and revenue impact of that confined to 2013 and doesn’t give a boost to 2014 and beyond,” he said. BAE CEO Ian King reckoned the company had delivered a “solid performance in 2013 against a background of reduced government spending and challenging market conditions” in 2013. Howard Wheeldon of Wheeldon Strategic reckoned that, given current market conditions, BAE had performed well in 2013. “Given the challenges with the current defense market internationally, I take the view that the FY13 results were excellent. Clearly, prospects for the current [year] ahead look tougher than those for the one immediately past. But there is ample reason for confidence, too, and in defense, it is always as well to remember that there are just as many growing international market opportunities as there are those shrinking,” he said. Not everybody agreed about the strength of BAE’s performance. “When companies come out with results like that, the shares come off, and that’s what’s happened today. With earnings down for 2013 and possibly next year and with cash flows going out, the prospects are all fairly dull,” Tusa said. One bright spot for BAE, though, was Saudi Arabia. Last year, the company booked £6.4 billion of business with its largest single international customer, including air weapons, further Tornado strike aircraft upgrades and weapons and a Typhoon support deal. Agreement on the Typhoon pricing, part of a deal known as Al Salam, may also have an impact on future Typhoon sales to the Middle East’s biggest defense equipment buyer. 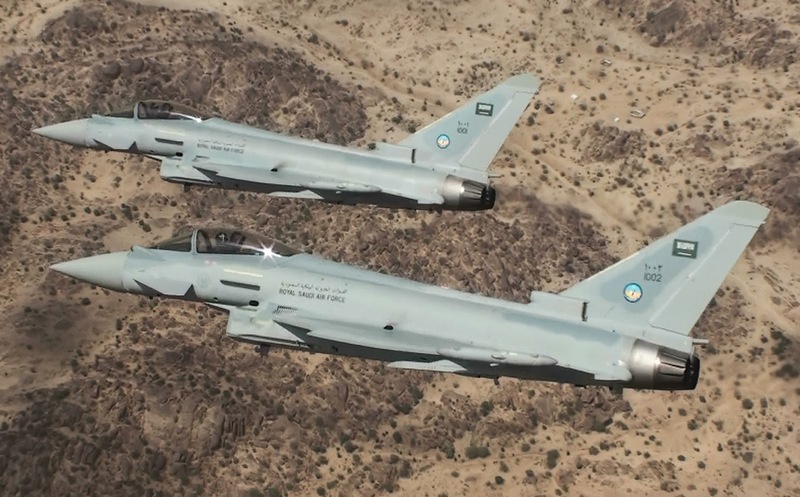 BAE’s King announced last year the Saudis were considering a buy of up to a further 72 Typhoons. Analysts said the new Al Salam agreement would remove one of the obstacles to a new buy. “Obviously, until the price escalation issue was resolved, it was an impediment to negotiating for the further Saudi aircraft. It may also have an impact on Bahrain’s interest in purchasing Typhoon,” said Doug Barrie, the senior air analyst at the International Institute of Strategic Studies in London. Barrie cautioned, though, that even if a deal is done with the Saudis, it could take some time to conclude. King said he was confident that if BAE’s performance was up to scratch, further orders would follow.